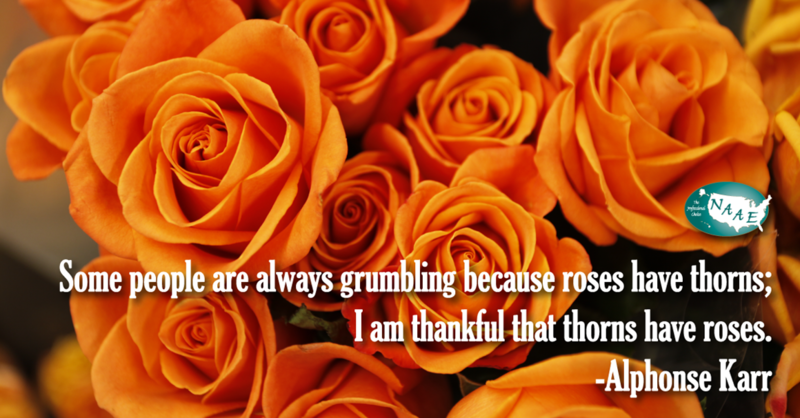 To look forward to spending time with your friends and family over the Thanksgiving holiday break. It's almost Thanksgiving! How does your desk look? 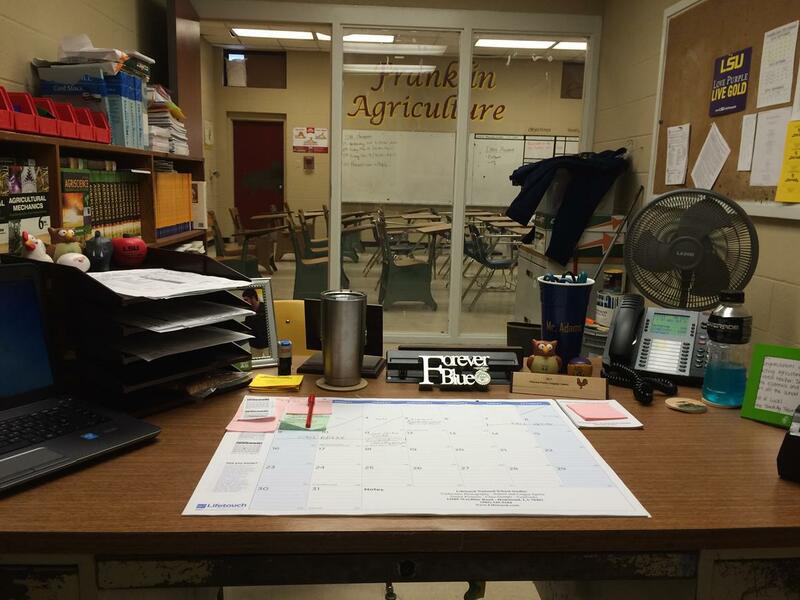 For Nick Adams, agriculture teacher at Franklin High School, in Franklin, Louisiana, an organized desk is always something nice to return to after a holiday break! 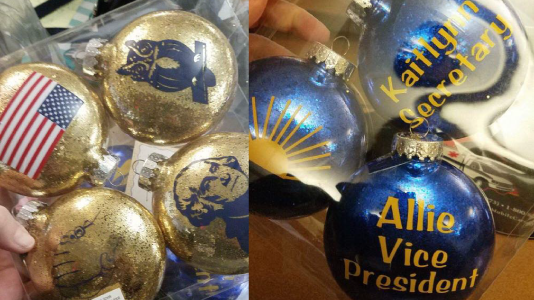 I had to share these awesome ornaments a local crafter made me for Christmas gifts for my officer team. They were very affordable and a neat memento they will keep for years to come. -Alison Derringer, agriculture teacher at Miami Valley Career Technology Center, OhioFrom the Facebook Ag Education Discussion Lab page. Healthy Habits -- Healthy Holiday Recipes! 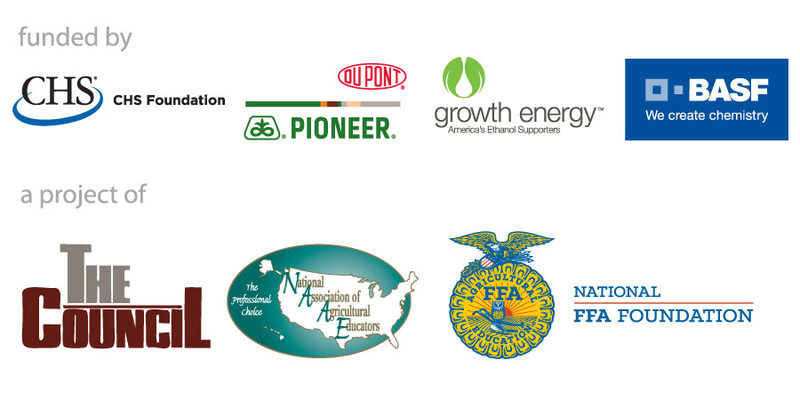 Run for a NAAE office, facilitate a community on NAAE's Communities of Practice, or get involved with our National Teach Ag Campaign, just to name a few possibilities. NAAE provides many opportunities to lead the profession. Learn more. MANITOWOC – If it takes a village to teach a child, it also takes a community to teach kids about the importance of farming. So says Jamie Propson, agriculture teacher at Mishicot High School. 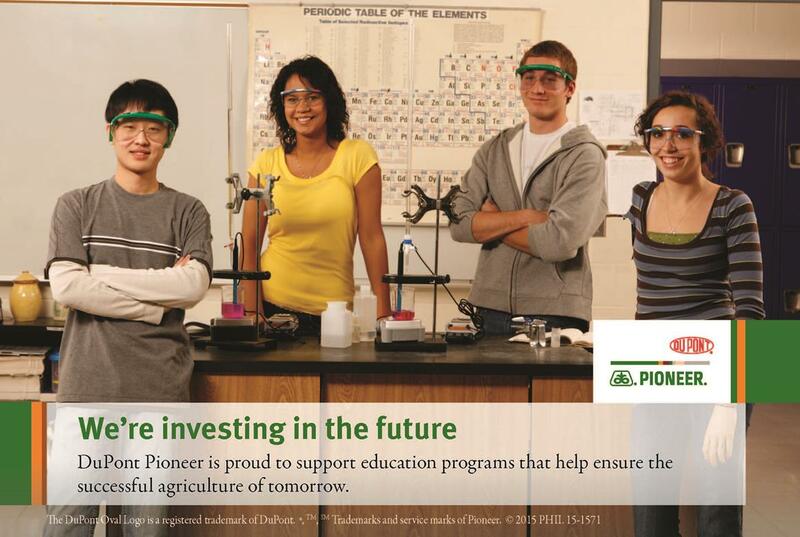 Learning about agriculture means studying science, biology, business, nutrition, animal care and more. She loves sharing her knowledge with students, and on Sept. 22 she’ll be sharing it with the country too. 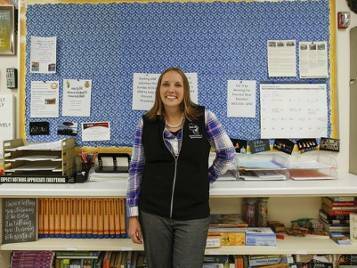 She is among four teachers who are members of the National Association of Agriculture Educators chosen from around the U.S. to be part of Culver’s #FarmingFridays, in which participants' photos and videos are shared throughout the day on Culver's social media, including Facebook, Instagram, Snapchat and Twitter.